Hello, my name is Captain Jesse Zepeda. I am the owner and operator of Zepeda's Charters. I have lived on the Texas Gulf Coast all of my life with 40 years of experience in fishing and surfing. During the last 10 I have been a resident of Galveston's West Bay, Jamaica Beach. I hold a Master Coast Guard license, Charter Boat Permit, Texas Fin Fish, Commercial Gulf Reef, and Commercial Shark, Commercial King Fish. I make my living on the waters of Galveston Bay and Galveston offshore....I am not a part timer. 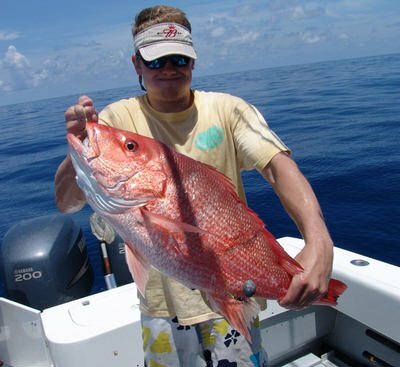 We specialize in offshore fishing for King Fish, Red Snapper, Dorado, Shark, etc. We also run the Bay and Jetties fishing for Speckled Trout, Flounder, Red Fish, and Sharks. Night fishing with overhead lights on the Flounder Boat is also available for Flounder gigging, and fishing for Speckled Trout and Redfish. No trip to the Texas Gulf Coast is complete without a Galveston Fishing trip. Let Capt. Jesse Zepeda show you why! 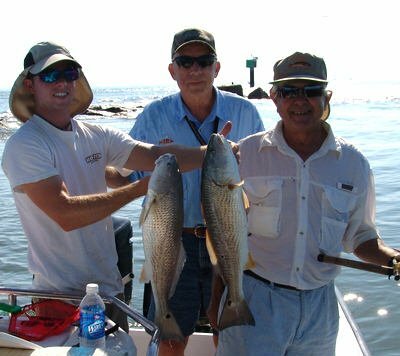 It doesn't matter whether you are an experienced fisherman or a novice fisherman, I will make sure you have a fun filled Galveston fishing trip. 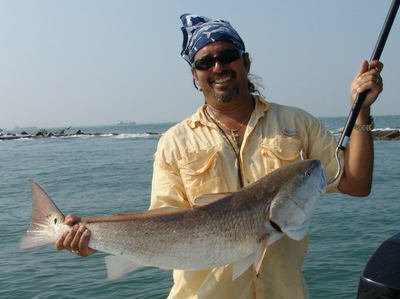 You will soon see why Galveston is famous for its outstanding bay and offshore fishing. $ 3,500 .00 for 4 people on a 50 foot commercial snapper boat. Past 50 miles, $1,800.00 for four persons. up maximum of six anglers. Prices are for 4 people. $1000.00, Full day, 4 anglers. $100.00 extra for each additional person up to six. ** Deposits may be required to secure your trip. We run a 31' Contender With twin 225 Yamaha 4 strokes, 22' Boston Whaler, 18' Boatright Flounder Boat. Our Galveston Guide Fishing Trips include bait, tackle, ice, rod and reels. Be sure to bring TEXAS FISHING LICENSE W/ SALTWATER TAG AND OR STAMP. Also bring your own food , drinks , snacks, sunscreen, cooler to take fish back home, hat or cap, polarized sunglasses, rain gear, and any other things you need. NOTE: YOUR FISH WILL BE CLEANED AND BAGGED AT THE END OF YOUR FISHING TRIP.